“In 2007 I made my first mosaic art, not knowing that I would release this gene. I have trained myself in mosaic schools and with various mosaic artists in Italy and France. Inspiration I find everywhere: in my everyday life and in nature! Typical for me: always in a hurry with too many ideas for a 24-hour day. Starting as a hobby for myself, for many years now I’ve been a mosaic professional and sell my works, doing contract work and taking part in international exhibitions. 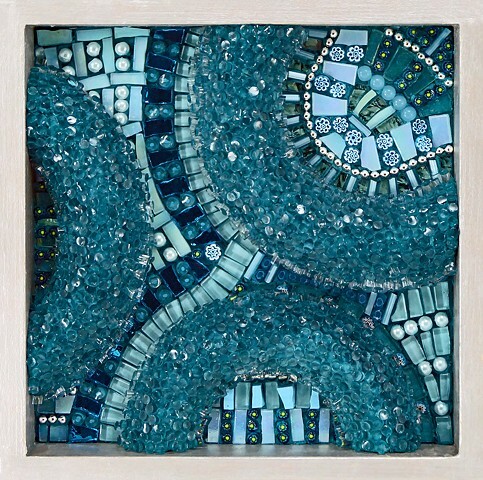 My mosaic art can be seen in many private collections and also in various exhibitions throughout Europe. I love to work with different materials. Mosaic is my life. I could not imagine my life without Mosaic. My dear family supports me in all respects and is with me, very proud of my successes.